Demo: Blog Why Do You Need A VPN APP ? Why Do You Need A VPN APP ? 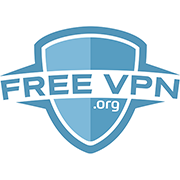 Stop walking around naked on the internet and get yourself a VPN APP! Safely access Wi-Fi, LTE, 3G and personal hotspots. Personal information, passwords and embarrassing texts are safe at last. Your IP address is hidden, protecting your identity and location. Data is fully encrypted before transmission for an added layer of protection.